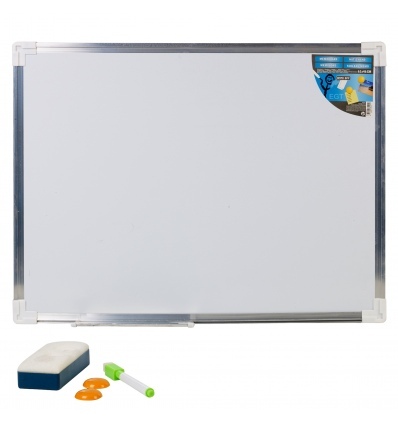 The 60 x 46 CM White Board with Aluminium Frame is the perfect size for the home or the office. 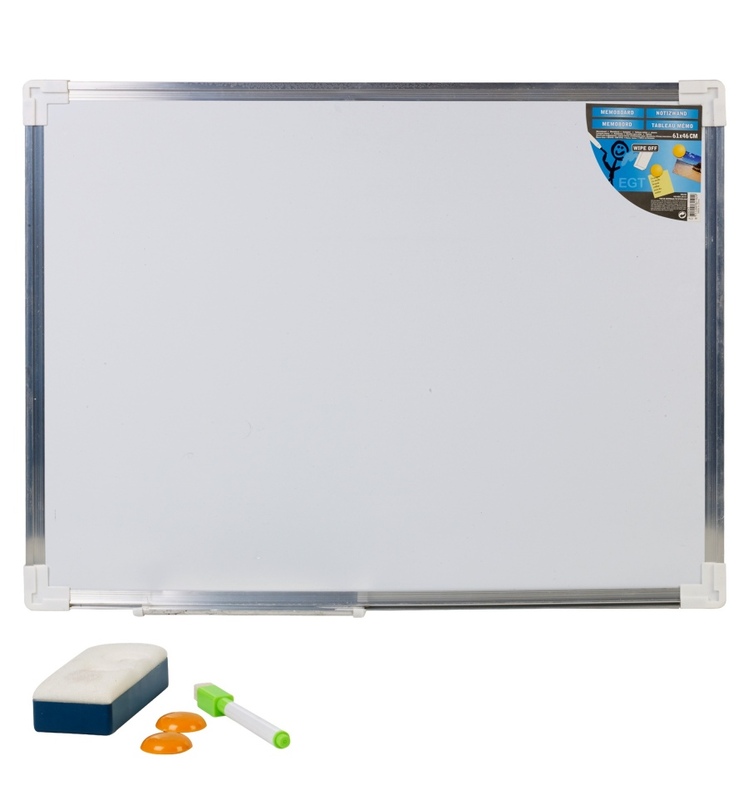 Don't worry about remembering those all important details, simply write them on the whiteboard! Includes a black marker, an eraser (with holder) and 2 magnets to attach shopping lists, restaurant menu's or memo's.